As wives and moms, we know what it means to sacrifice. Even those who are financially stable or very well-off understand sacrificing for our family, particularly our children. Sometimes, we can find ourselves in a situation where we must pay a bill or take a child to the doctor due to illness. We never intend to be caught in a bad situation, but economic struggles or bad budgeting can put us there quickly. So what do we do to stretch our money as far as we can without finding ourselves restless or unhappy? We need to be content. That is first and foremost. We can fix something if we grump our way through it because our heart won’t be in it. Right? Right! First of all, having a budget in place is necessary. We need to know what we’re spending, how we’re spending, and if we can quit spending on something excessive. Pretty manicure? Luxurious day at the spa? New “do”? 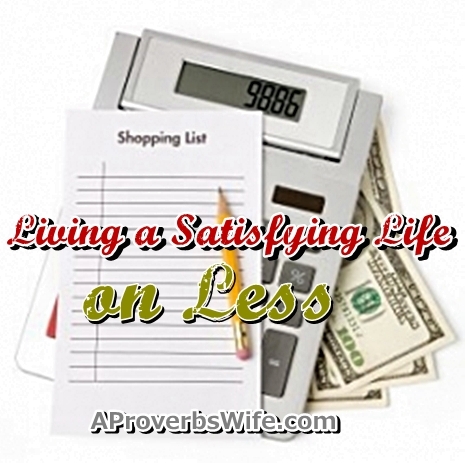 Well, we may be the kind of woman who doesn’t really care about those things, or we say “Yeah, right, who has time for that?” Okay, so what about the overspending at the grocery store because of going without a list? What about having a burger on the go because overwhelming waves of hunger hit as we were running errands? These are just a few things that might get us while we’re managing our home. We need to minimize the T.L.C. time as well as watching the spending we consider minor, like a burger. Now, since we’re off to the grocery store, how many coupons do we have? We love coupons at our house. Not only are they in the paper, but coupons are available online. “Where” you ask? Since you happen to be here, why not check out the “coupons” tab on the menu above? But don’t go away just yet. 😉 Coupons are everywhere on the Internet. They are in the junk mail we get in the mailbox, and we can sign up at specific Web sites like Proctor and Gamble and get specific mailers two or three times a year, chock full of coupons. Let’s kill the myths while we’re on this topic. No, coupons do not make us look poor, cheap, or deprived. They make us look smart, careful, and selfless. Clipping coupons can become a true art, especially when we find amazing deals and people say, “Wow, is that all you spent? That’s amazing!” (In case you are contemplating coupons or just starting out, most places accept manufacturer coupons and Internet printed ones; even Dollar Tree now takes coupons!) To learn more about how to get started, click here. Be blessed in your mission of being a Proverbs 31 woman and toward becoming a better steward of God’s treasure.